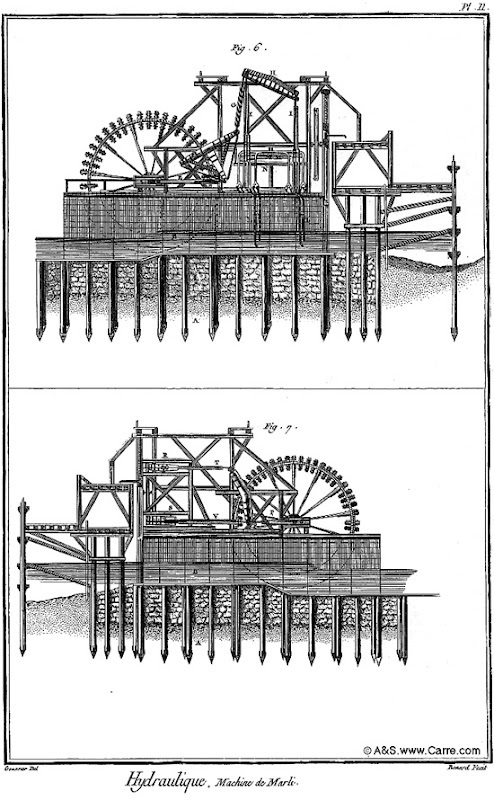 Some images of La Machine de Marly, the engineering marvel responsible for the gushing fountains and other water features at Versailles. 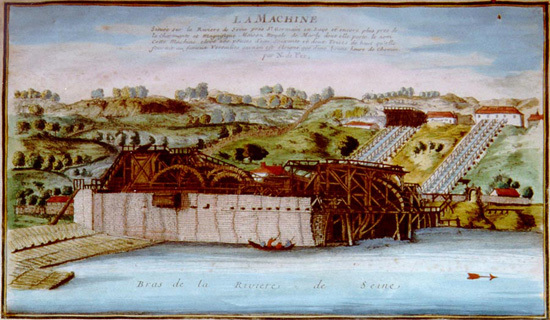 Fourteen paddlewheels, each about 30 feet in diameter, were turned by the Seine to power more than 200 pumps, forcing river water up a series of pipes to the Louveciennes aquaduct, a 500 foot vertical rise. 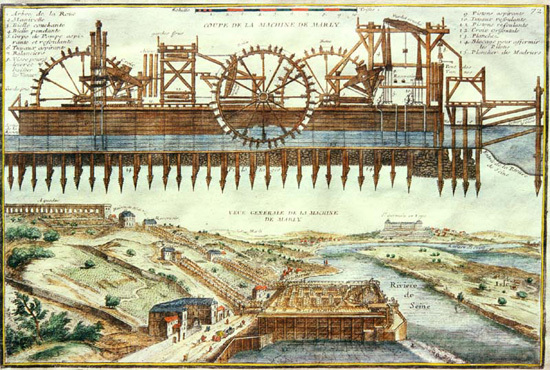 The original Louis XIV Machine included not just an enormous structure on the river itself, but sprawled all the way up the hill, comprising pumping stations, holding tanks, reservoirs, pipes and an intricate system of mechanical linkages to power pumps on the hill from the waterwheels below. 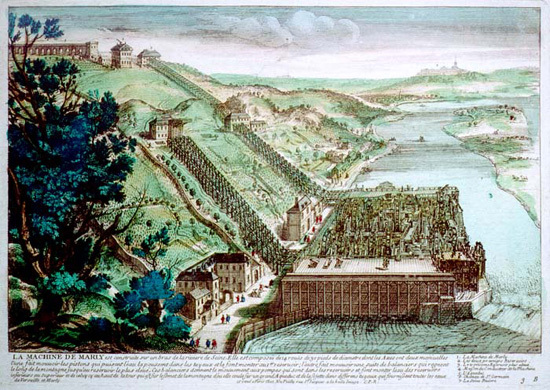 Several accounts of the epoque describe the infernal noise this all generated, keeping Mme Dubarry (Louis XV's last mistress) and her guests awake in her nearby chateau. 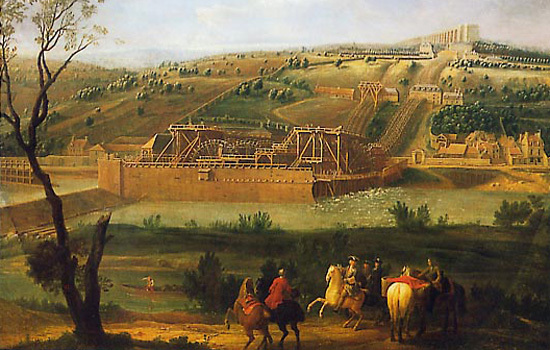 Sixty maintenance workers were employed to keep it running. Pumping at full capacity, it could add over a million gallons in 24 hours to the Marly reservoirs.